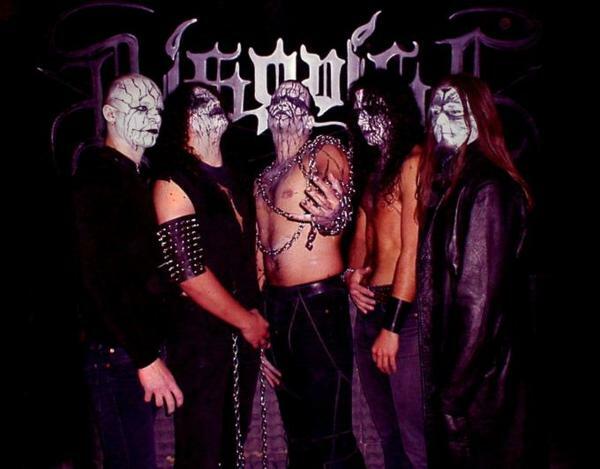 Disguise (1998-present) is a Black Metal band from Italy. 'MENS OBSCURATA DOLE': The Human brain has been obscured by the deceit of promises that never come true by deceit of words that taste of lies. Man follows the others erring. This is the greater mistake of man, living without being conscious of it. (Essentially we are all sheep and not thinking for ourselves). 'NOSTRA HUMANA RESURRECTIO': Another way of living exists where man is master of his fate. It's necessary to go back into the past, to remove ages of moral repressions. It's necessary to retake the Human Primordial Instinct for our human resurrection. Every man can awake to come back to life in right way. 'SETTIMA PROPOSIZIONE: IL RESTO E' CONSEGUENZA' (Seventh proposition: rest is consequence): Everyone can do what he wants to do, going towards result of his own actions. 'Il resto Ë conseguenza', seventh and last proposition against Christianity written in 1888 in the 'Antichrist' by Nietzsche, summarizes this concept.